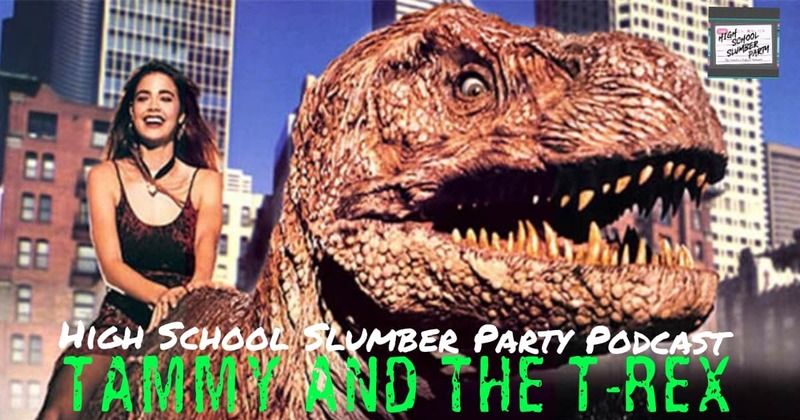 Get set for some prehistoric fun this week on High School Slumber Party! It’s time to talk about the awesomely bad Tammy and the T-Rex! Jenny O’Connell returns, as does Cara Gael O’Regan (who mistakenly thought this was a similarly titled Whoopi Goldberg film), to discuss Denise Richards’s performance, fantastic fashion, Paul Walker’s film (and on-screen car chase) debut, our spirit dinosaurs, and all other things a hastily-put-together film about a high school girl who falls in love with a robotic tyrannosaurus implanted with her boyfriend’s brain has to offer!